SDT115 Twin set includes Duvet (with filler), tailored sham, fitted sheet and bedskirt and 4 drawer pulls. SDF115 Full set includes Duvet (with filler), 2-tailored sham, fitted sheet, bedskirt and 4 drawer pulls. SDT115DD Daybed set with trundle includes Twin duvet (with filler), 2 tailored sham, 2 fitted sheet, and 4 drawer pulls. 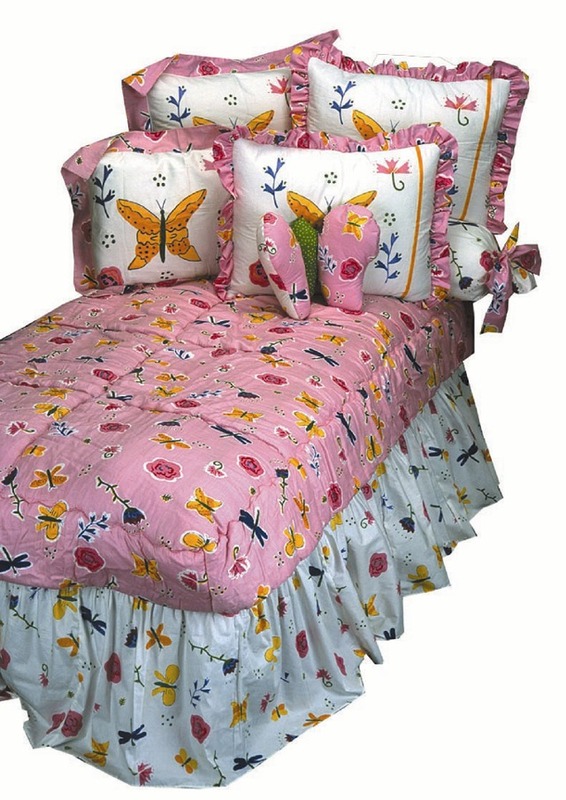 ZFL32P All Over Butterfly on White Background Twin Duvet w/Fill. (Not Pictured) 100% Cotton. Polyester Fiberfill. Cover is Removable and Both Cover and Filler are Machine Washable.